St John’s College has been accused of discriminating against students on racial and religious grounds after a Muslim pupil was barred from attending lessons for refusing to shave his beard. This comes after the school torched another storm recently when former deputy head (Sixth Form), Dr Neal Hovelmeier, declared he was gay during school assembly, sparking a public outcry. Dr Hovelmeier subsequently resigned from the school following a sustained campaign by parents who found the public announcement of his sexual preferences uncalled for and mischievous. According to the father of the barred student (name withheld) his son, a Lower 6 learner, had been sent home a number of times “to shave off his beard and to abide by the school rules”. The pupil keeps a full beard as part of his religion. The barring of the students is despite previous court decisions ordering schools to reinstate students who had challenged “discriminatory and unconstitutional” conduct by the authorities. In an interview, Primary and Secondary Education Minister Professor Paul Mavima said the matter needed both parties to sit down and map a way forward. 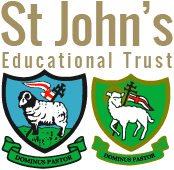 St John’s College deputy headmaster Mr Andrew Sakala refused to comment over the phone. The parent expressed anger towards the treatment of his son by the school. “The boy is traumatised and is being humiliated by being kicked out of school,” he said. “What hurts me the most is he has been at the school since Form 1. He is in the soccer team and his desire is to be a priest and serve the Islam religion. At one point, the school officials allegedly threatened to ban the learner from writing his exams. His father had to plead with the school to allow him to write the exams. There are numurous previous court rulings that chastised schools for barring pupils from attending lessons based on their religion. In 2014, Batanai Secondary School in Mashava was barred from expelling four pupils for wearing long hair after the Constitutional Court ruled that such a decision was in breach of the girls’ “freedom of conscience”. The quartet — Melody Svondo, Vimbainashe Matarirano and twins Yolanda and Yonlanda Manyere — were members of the End Time Message Church, and refused to trim their hair citing religious beliefs. In 2007, the Supreme Court ruled in favour of an eight-year-old Rastafarian schoolboy who was barred from attending Ruvheneko Primary School in Glen Norah because of dreadlocks. The bench ordered the readmission of Farai Benjamin Dzvova, pointing out that the school had violated the boy’s constitutional rights. In 2002, a Chitungwiza boy was expelled from Zengeza 4 Primary School because of his dreadlocks.